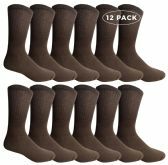 EVERYDAY SOCKS: Perfect for going to work, playing sports, exercising, or just taking a stroll.Solid color crew sock are soft and comfortable ideal for guys on the go. 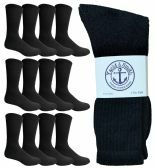 These socks also help to draw moisture away while keeping your feet cool and dry. 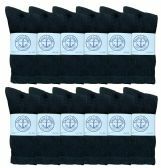 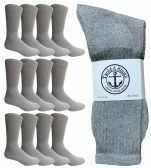 The additional comfort makes these socks great to go to work in and are good for all seasons. 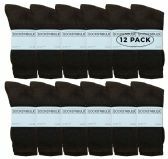 VALUE PACK: Save money when you buy men’s crew sock in bulk. 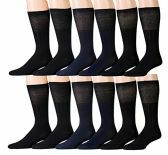 Now you don’t have to compromise quality to get the best value. 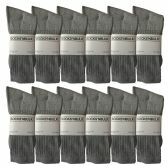 Get Bulk pairs of soft crew socks so you never have to worry about running out of socks.